The HSE recommends that all healthcare workers (HCW) in Irish health services receive the seasonal influenza vaccination each year. The recommended national uptake target is 40%. Compared to adults working in non-healthcare settings, HCWs are at significantly higher risk of influenza. Achieving a high uptake of influenza vaccination among HCWs is recognised as a vital infection control intervention and occupational health issue to reduce the risk of influenza transmission between patients and HCWs. Despite these recommendations relatively few health care workers are vaccinated every year and influenza outbreaks in healthcare settings have occurred annually, the majority of which have been associated with low uptake among HCWs working in these units. 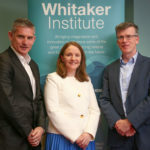 Our project’s overarching goal is to identify, tailor and evaluate a multilevel, evidence-based intervention (EBI) to increase flu vaccine uptake among healthcare staff—a priority topic identified by HSE, Healthy Ireland and WHO TipFlu. This project is funded by the Health Service Executive and Saolta University Health Care Group.